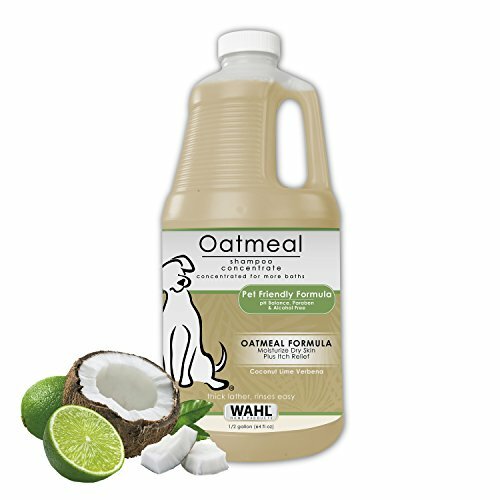 Plant derived oatmeal formula shampoo is gentle and moisturizes dry itchy skin, leaving your pets coat clean and healthy. Wellbeing starts with being well groomed. Our pet clippers, trimmers, brushes and shampoos will help you care for and bond more with your dog. Pet grooming can be easy, stress-free, fun and fulfilling with Wahl's extensive line of grooming products. WAHL QUALITY CLIPPERS: Wahl is a trusted brand for a reason. Compare the quality of Wahl's grooming products to others from Pecham, Oster, Remington, Andis, Enjoy Pet, Sminiker, Bonve Pet, Bojafa, Omorc, Becko, Vooph, ProPet, Petdiary, Oneisall, & Motanar.